History, Literature, Geography, and some Bible: We are all doing BiblioPlan for our history, literature, some Bible, and geography this year. I’ve shared my review of it here. We are doing Year 3: Medieval. I’m loving it and so are the kids. Latin: We all use Visual Latin. Kiddos are in different levels, but all still use the same fun video curriculum. Paul Louis is the only one not taking Latin this year. I really need to write up a review. I am an affiliate, so if you ever order, I’d sure appreciate you using my link. Bible: We also all study the Bible via the same “curric”. Right now, we are simply reading Psalms. We are about to start BSF (Life of Moses) and then in a month or so will stop that and will start a Disciplers study together (Judges and Ruth) with a group of families. Math: Everyone except Paul Louis is also using Teaching Textbooks. I love it. He is using RightStart Math. Science: We use Apologia for all levels. I’m a huge fan. We supplement with labs by Landry Academy. More details under the specific child. Geography: BiblioPlan Year 3 some Visual World Geography too. Grammar and Writing: He is doing this in a co-op taught by a fantastic set of teachers. They are using Analysis of Effective Communication (Book 3) by Christian Liberty Press. Chemistry: Apologia Chemistry. Half on his own and half at the c0-op. 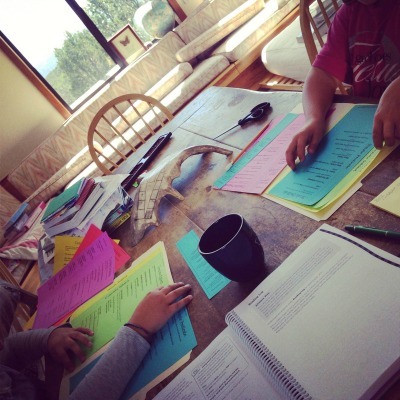 This means that every two weeks, the students meet to discuss and review the material and then they take their tests. He will participate in the Landry Academy Lab Intensives. Sign Language: I am teaching a sign language class to some 8th graders and high school students. Electives: He is participating in the local homeschool drama group. Grammar and Writing: She is doing this in a co-op taught by a fantastic set of teachers with Noah. They are using Analysis of Effective Communication (Book 3) by Christian Liberty Press. The class is geared towards 10th graders, but three eighth graders were invited and the teachers are altering a bit for them. 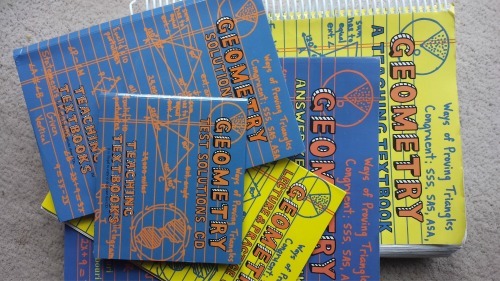 Chemistry: Apologia Elementary Physics and Chemistry. She will doing this via the “older kids” track. Electives: She is participating in the local homeschool drama group. Elective: She is participating in the local homeschool drama group. So… there ya go. Our formal curriculum for our school year. Not included on this list are the field trips, family sharing, togetherness, read alouds conversations, joke telling, wrestling on the bed, and more. Those are all tucked into our other curriculum. I’m excited about our studies this year, especially medieval studies, the chemistry and physics elementary book, and Write Shop E.
We’re going to have a GREAT year! 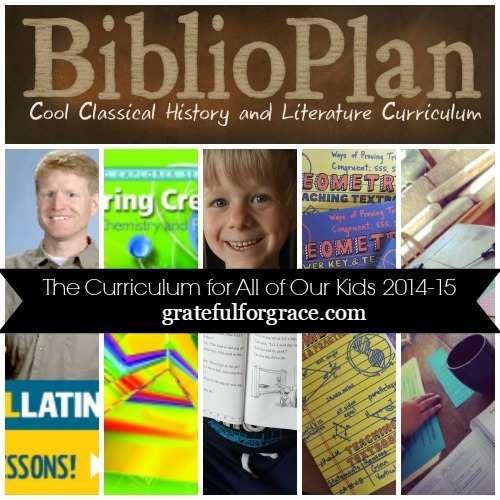 What curriculum are you most excited about for your year? Previous post: We Need to Talk to the Children in Our Lives About Adoption. A lot. Seriously. Next post: Do You Go to the Fair? And Do You Eat Fair Food?